Discover with us the top quality golf courses and luxury hotels in one of the best golf destination - Portugal! We have personally selected 6 top golf resorts for your perfect golf holidays! Golf course maps, short introduction to spa & wellness and restaurants – all information in one place to inspire you for your next amazing golf experience! The Oitavos is a smart hotel in an excellent location. The exclusive golf course Oitavos Dunes is one of the best in the region, and the view of the sea is breathtakingly beautiful! 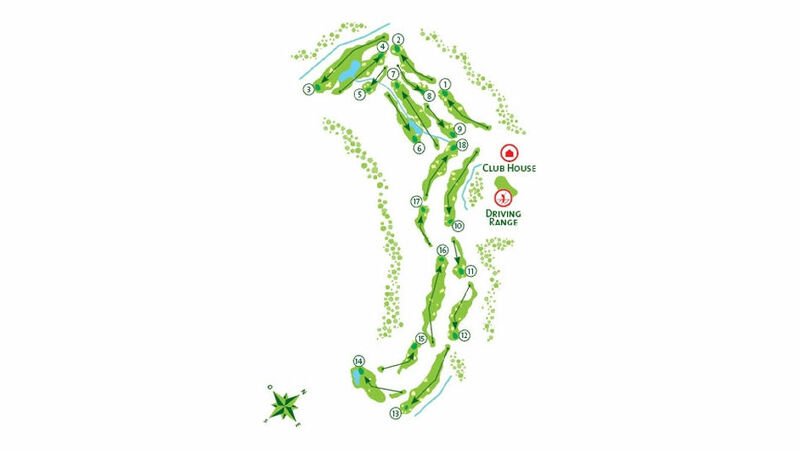 The Golf Course: The golf course was designed by architect Arthur Hills as Oitavos Golfe in 2001 and few years later renamed to Oitavos Dunes. It is an 18 hole course which is very concerned about nature conservation and sustainability. The club has a clubhouse, a driving range, practice bunker, putting green and a pro shop. Equipment as well as buggies and caddies can be hired. Spa and Wellness: Relaxation is guaranteed in this beautiful, natural surroundings! In the balneotherapy area you can swim in the heated and sea-filled pool, do some sports or use the sauna and Turkish bath. In addition, several wonderful beauty and spa treatments are offered. The restaurants: The luxury hotel has four restaurants that follow different cooking directions, but always with the best ingredients. A highlight is certainly a meal at the Chef’s Table - here you will meet the chef Cyril, who tells exciting details and also reveals some secrets of his gourmet kitchen. The hotel is located in the small village of Estoril, just 25 minutes from Lisbon. From the terrace you have a beautiful view of the Atlantic. 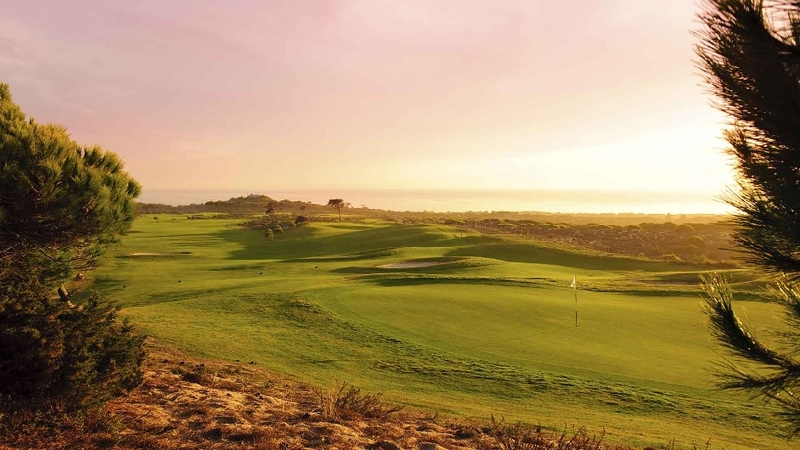 Nearby you will find one of the Portugal’s best golf courses and beautiful beaches. The hotel provided an exceptional scenario for the sixth film of the James Bond saga! The Golf Course: The golf course Estoril Golf Club is located 5 minutes by car from the hotel. The golf course is one of the oldest and best known in Portugal. It has an excellent golf school that teaches in Portuguese, English and German. 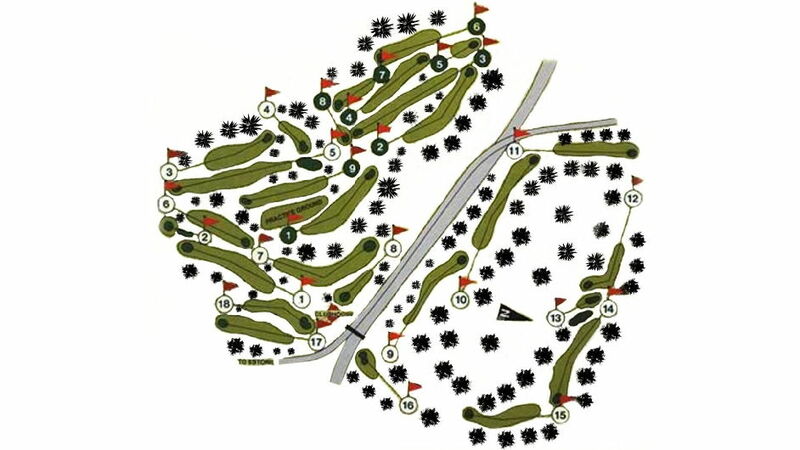 The course was designed by Mackenzie Ross in 1936. The golf course has a clubhouse, a driving range, a pro shop, bunkers, chipping areas and caddies. In the hotel you get green fees. Spa and Wellness: The hotel has a nice large outdoor pool. They also have an indoor pool, a fitness center and also offer unique treatments. Restaurants: The hotel has 3 restaurants. From the Bougainvillea Terrace Restaurant you have a beautiful view over the garden and the pool. It is cool and chic area. The Bar Estoril was famous in World War II as the favorite place of spies. Today people can relax and have a drink and enjoy the view. The Grill Four Seasons Restaurant serves a mix of Portuguese and international cuisine. It is known for its elegant and sophisticated ambience. Nice location, right on the sea and many golf courses nearby. The hotel is located in Lagos, a city in the western Algarve. 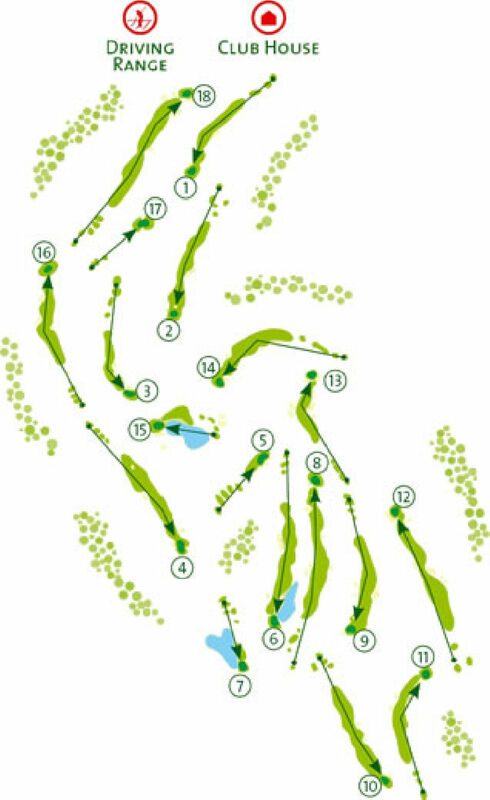 The Golf Course: There are several golf courses within 3 km. The closest one is Boavista Golf Course where you can enjoy as a golfer the round of 18th greens. Spa and Wellness: Outside there is a very spacious pool. The hotel has a wide range of wellness and spa facilities. The hotel also has its own nutritionist. Restaurants: The resort has two main restaurants. The Senses Restaurant, which serves gourmet Mediterranean cuisine, and the Mundi Restaurant, which offers a laid back atmosphere. You will be also nicely surprised by the Gastropub where you can explore the most characteristic flavours of Portuguese cuisine along with the collection of the best beers! Located in an exclusive location in Algarve, the Macdonald Monchique is a perfect hideaway in the village of Monchique. The luxury resort is surrounded by gorgeous panoramas of well-preserved forested mountains, beautiful beaches and golf courses. 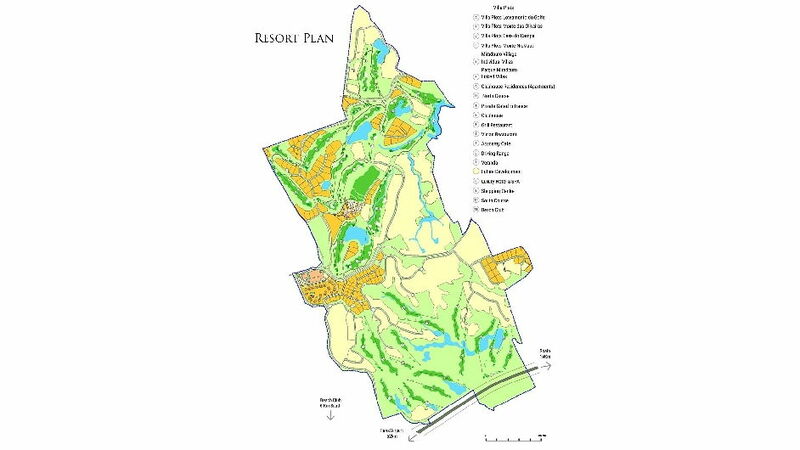 The Golf Course: There is a local golf course about 25-minute drive. It was designed by European Golf Design in 2003. The Morgado Golf Course offers 18 holes and Handicap 28 for the men and 36 for the women. 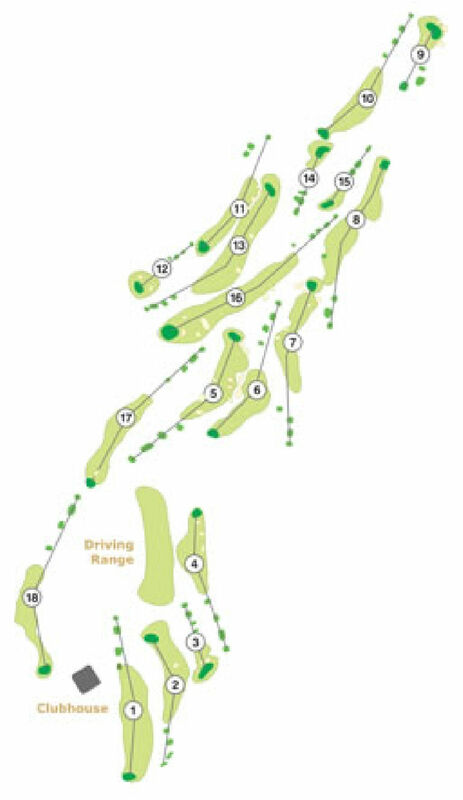 It has 2 practice tees, 2 chipping greens, 2 putting greens, a golf school, a restaurant with a bar, a clubhouse and a golf shop. You can rent buggies. Spa and Wellness: The resort’s spa features a wide variety of spa facilities such as indoor pool, two outdoor pools, sensorial showers, Himalayan salt sauna, an aroma grotto, and a ghassoul natural mineral clay chamber. Restaurants: The O Mercado Culinario offers an array of international and local dishes. Mon Chic is an elegant restaurant serving a seasonal menu featuring delicious meat and fresh fish dishes accompanied by a selection of Portuguese wines. Pizzaria da Serra offers delicious Italian specialities. Monte Rei Golf & Country Club is a golf paradise situated in a private estate, covering more than 1000 acres of well-preserved countryside. The Golf Course: The Jack Nicklaus Signature 18-hole golf course is one of the best in Portugal and offers a golf experience like no other. 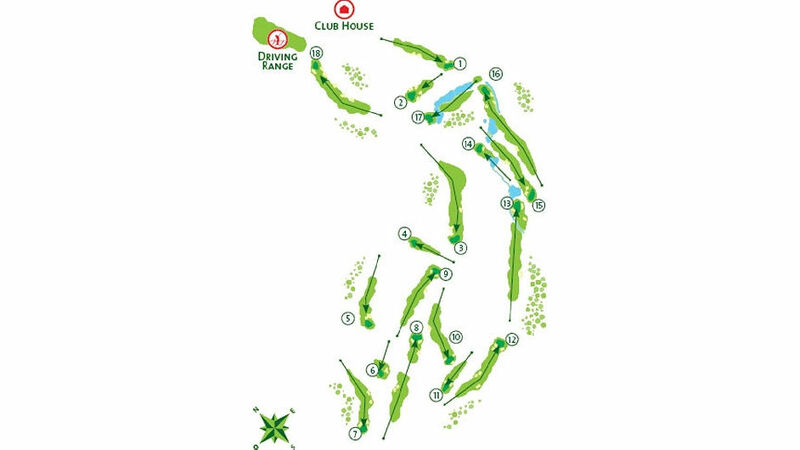 The Monte Rei Golf Course covers an area of more than 6000m2 and features an entertaining series of five par-5s, five par-3s and eight par-4s in an interesting and unique layout. The par 72 Championship golf course also offers modern golf buggies, mobile buggy bar or clubhouse. Spa and Wellness: In addition to the wellness center, there is a spacious pool with sun loungers. There is a sauna and a steam room. You can also book different massages and treatments. Penha Longa Resort is set among lush gardens, serene mountain lakes and rolling hills of the Sintra Cascais Nature Reserve. The resort is located about 30 minutes away from Lisbon abd it offers a variety of activities, tennis, golf, horseback riding or squash. The Golf Course: Designed by the renowned Robert Trent Jones, Penha Longa Golf Course is ranked in the top 30 golf courses in Continental Europe. The resort features two golf courses - 18-hole Atlantic course with magnificent views and the 9-hole Monastery. The Monastery golf course is characterized by narrow fairways and artful greens with stunning landscapes. Spa and Wellness: The spa is located several minutes from the resort’s main building and it features a variety of modern spa facilities such as a contrast pool, Jacuzzi, three-meter waterfall, nine treatment rooms, a private suite, Portugal’s only Meditation Labyrinth and two gazebo for yoga and meditation. Restaurants: The resort has eight restaurants ranging from Michelin-starred LAB by Sergi Arola to the oldest Japanese restaurant in Portugal – Midori. Arola Restaurant offers a modern twist to Portuguese cuisine, while il Mercato offers a taste of Italy in a relaxed atmosphere.